Why does my total missions and projects complete not line up with my actual progress? 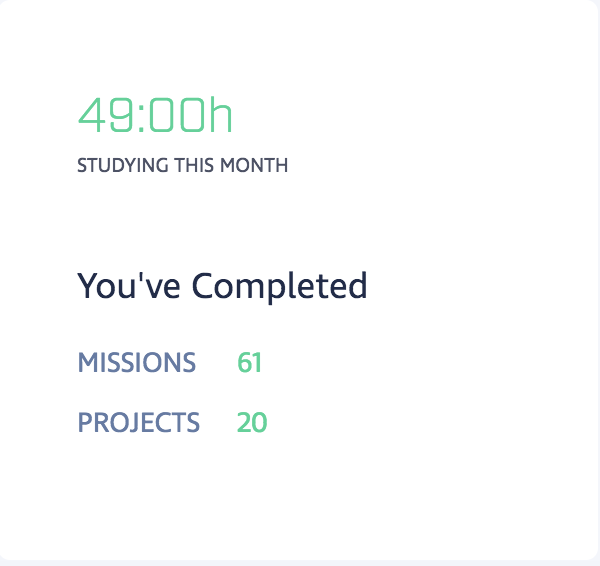 Your dashboard contains a simple breakdown of the number of missions and projects you've completed on the platform to date. It may appear, initially, that the number of projects completed is being inflated and the number of missions completed is being underreported. However, the dashboard counts Challenge missions, in addition to our Guided Projects, as projects as well, which is where this discrepancy stems from.